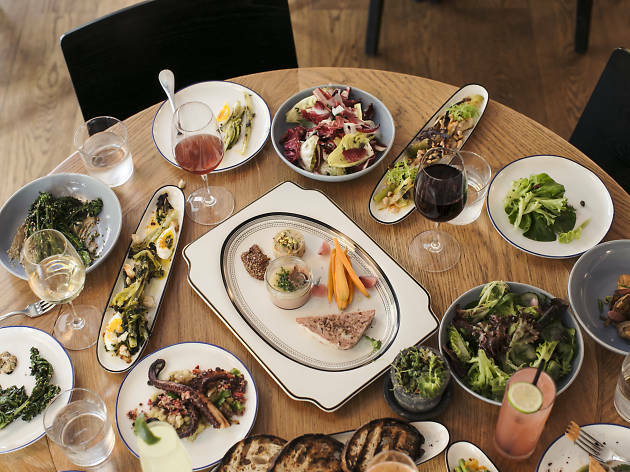 This buzzy American bistro stays busy from morning to nights thanks to its location near the financial district and just adjacent to Rittenhouse Square. 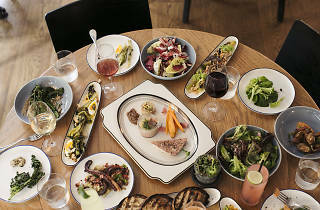 The menu focuses on seasonal small plates and entrees such as steamed mussels when they’re in season, a cured salmon on rye and the popular a.burger at lunch, and a selectin of beef, poultry and seafood dishes for dinner. The bar offers an impressive craft beer menu along with a hefty selection of wine and cocktails. It fills up around happy hour time when a.kitchen’s next-door watering hole a.bar fills to capacity.